A man died in San Jose Sunday night when he crashed his car into a tree, police said this morning. 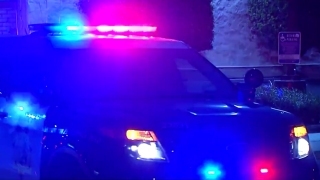 At about 11:30 p.m., San Jose police officers responded to the reported crash on Branham Lane East, east of Monterey Road. The car, a black 2004 Ford Explorer, was traveling east on Branham Lane East when it struck a tree, police said. The man was pronounced dead at the scene. The identity of the victim has not yet been released, police said. The incident was San Jose's 33rd fatal collision in 2016, and the man the 35th fatal collision victim this year.